Let’s face it – everybody needs a strategy in order to achieve anything worthwhile. Whether you are planning a wedding or find yourself in charge of an important work project, strategy is critical to the success of any venture. What happens when you develop a great strategy, but somehow it falls apart during the execution process? This is where strategic execution training comes into play. Many CEOs are finding that strategic execution is one of the primary problems they face in their organizations. In fact, more than 60 percent of strategies are unsuccessfully executed. What seems to be the main problem? It’s not simple to identify one reason. There are many theories and ideas among professionals on how to execute a strategy successfully, but many ideas are vague and don’t provide a lot of guidance for those in charge of strategic implementation. Strategic execution is an important driver of business results. It is key in changing cultures, products and profits. Yet, how to execute a strategy is still debatable among executives. Is it a process? A system? Or a step-by-step endeavor? When higher-level executives consider strategic execution for organizational changes, they often leave out the most important people who will make the strategy successful – managers. Managers are the front-line implementers of new strategies. They communicate, interpret, provide direction and allay fears during critical implementation phases. Consequently, the first step to successful strategic execution is to get all involved managers onboard, so they can work together to make the strategy a success. Get buy-in from your managers on how this new strategy will improve efforts in each area and help reach organizational goals more effectively. Also, examine your culture to ensure it is open to change and welcomes the contributions of everyone to putting the strategy into place. 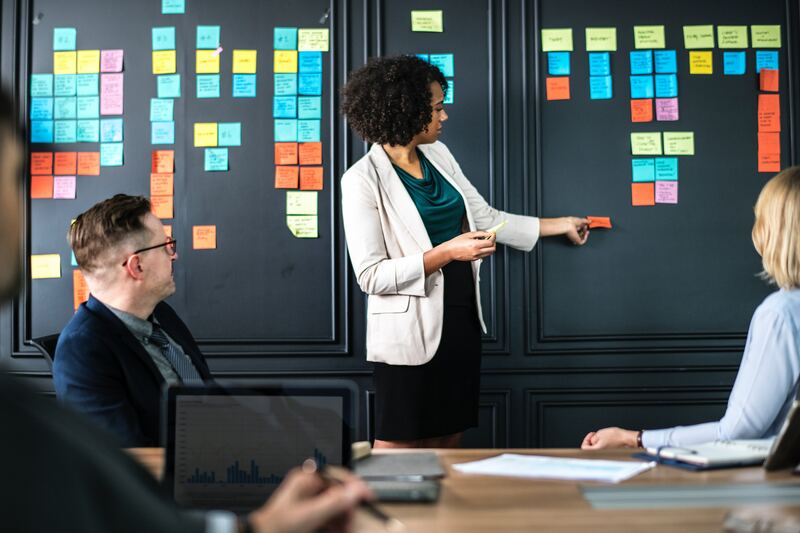 Once you understand your managers’ capabilities, you can start creating a learning path to address their specific training needs, whether these include decision-making, communication, measuring effectiveness, understanding data analytics, or all of the above. Managers who hold MBAs or have extensive experience can teach other managers the basics of strategic implementation. Online providers can give you custom solutions to meet your strategic execution training needs with personalized learning paths and course content that’s been created by learning and development professionals to ensure success. What should be included in your training beyond strategic execution itself? Making sure your managers have the training they need to execute new strategies is critical to the success of these ventures. Don’t undervalue your managers’ role in the process or see them as merely carrying out orders. Make them an integral part of the execution process by eliciting feedback as they work with their teams. Managers are the critical link in interpreting and clarifying strategic priorities for workers. They are indispensable partners to make the strategic plan a reality.